Along with many others, their home has been completely destroyed. 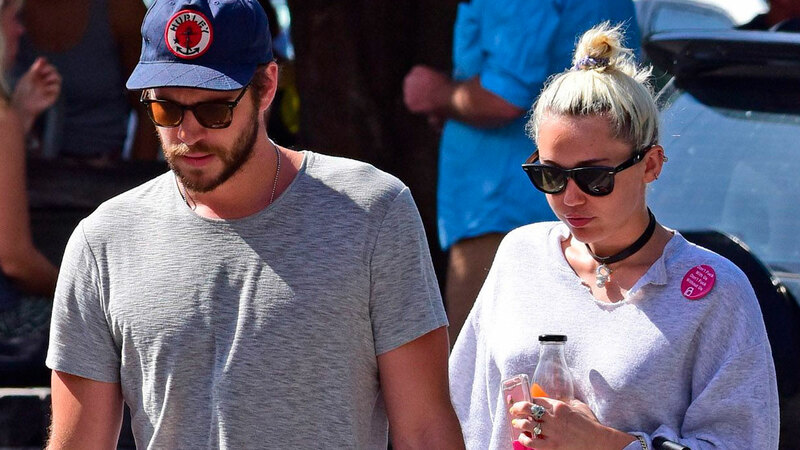 Liam Hemsworth shared a photo of the remains of his and Miley Cyrus' home after it was tragically destroyed by the wildfires currently raging through California. 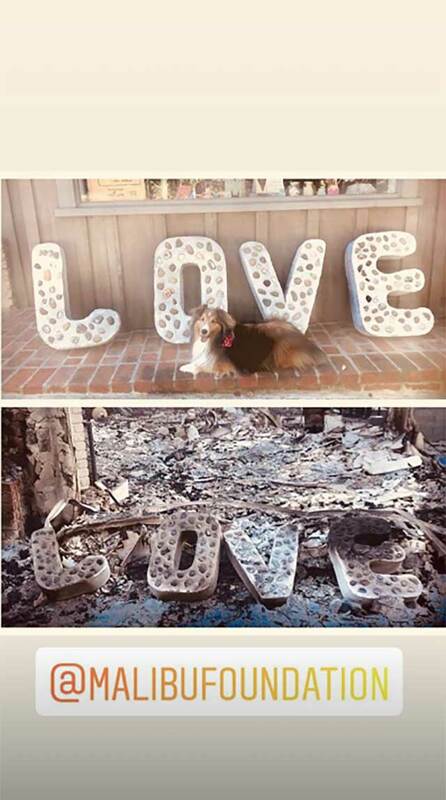 The Instagram photo shows the charred remains of their home, including a poignant sign that reads, "LOVE." The 28-year-old captioned the photo, "It's been a heartbreaking few days. This is what's left of my house. Love. Many people in Malibu and surrounding areas in California have lost their homes also and my heart goes out to everyone who was affected by these fires. "I spent the day in Malibu yesterday and it was amazing to see the community pulling together to help each other out in any way they can. Malibu is a strong community and this event is only going to make it stronger." He added: "Thankful for the all the great local guys that helped keep smaller fires out around my property. I love u guys. I love you Malibu. Thank you to all the hero firefighters around California. It's going to be a journey to rebuild. Stay strong all." He also posted an Instagram Story of what the sign looked like before the fire. 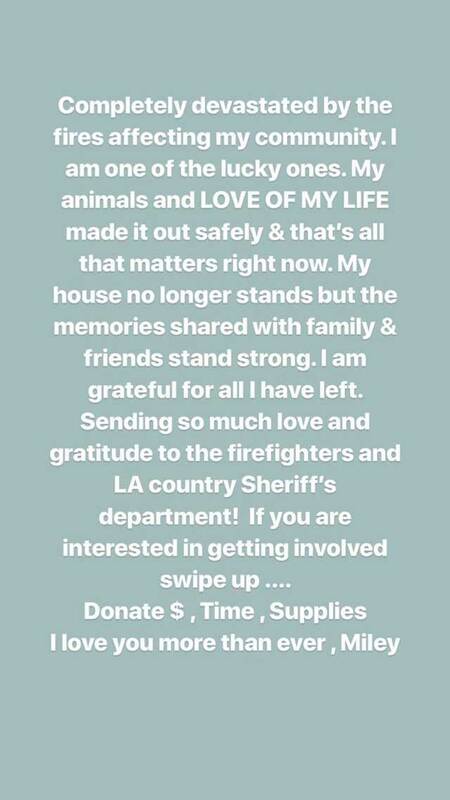 Miley, 25, also took to Instagram Stories to open up about the devastation of the wildfires. The fires started in two separate parts of California, and have claimed 50 lives so far. Tragically, the death toll is expected to rise.